The baby area is seperate from the other two rooms and is a place where babies are provided with stimulating toys e.g, mobiles, soft books, building blocks, dolls and an activity table. All of which are essential for the childs first stage development. It is our aim to provide a warm, loving and secure environment in this area which will help each individual child to feel happy and at home. This is extremely important to the childs all round development. Activities such as painting, waterplay, building blocks, jigsaws and dolls are provided to enhance the physical, interlectual and social development of the children. The young children are involved in all types of creative activities e.g painting, glueing, cutting out, chalk and crayon drawing and model making. This enables them to identify and recognise colours and shapes. There is also a home corner equipped with small household toys encouraging roleplay, along with jigsaws, sticklebricks, dolls and cots. There is a road track, cars, a garage and a full bookcase. The ultimate objective is to prepare the children, socially and mentally, for their school days. After a while the children move on to more detailed colouring, shape and number cards, simple work sheets and books which they can take home to show their parents. There is also a television set, video and DVD facilities in the Pre School room. The outdoor play area consists of a brand new soft surface area, a turfed area and a raised decking area for the children to play on. 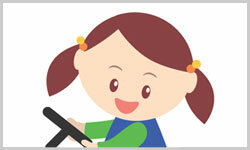 The Nursery provides toys including bikes, a climbing frame and a see-saw. There are also organised ball games and running and jumping activities.